Going mobile expands your brand into new markets and growth sales. C. Nelson has the equipment to keep your ice creams, custards, yogurts, and water ices cold for that great taste experience. Eric’s Setting up for a Football Game @ BGSU. ………………. designed by C. Nelson Mfg., Co., to the streets to grow his brand awareness and expand his yearly sales. Small or large, takin’ it to the streets is in your budget. 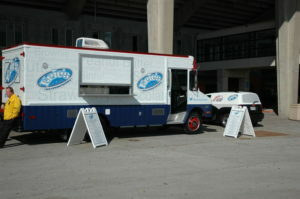 Mobile truck or cart C. Nelson can satisfy our marketing budget today. Eric started with a very budget minded mobile C. Nelson BDC8 push cart and built his sales to the point he needed a larger vehicle. The Ice Cream Scoop Truck as, Eric calls it, was built to promote his handcrafted ice cream. 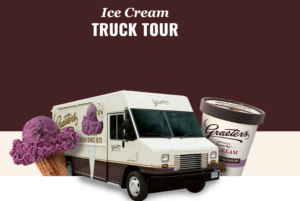 Like Graeter’s, Eric uses his mobile ice cream scooper truck to promote his brand by selling great tasting hand crafted ice cream and offering customer appreciation programs for local businesses in northwest Ohio. C. Nelson sells cabinets that will hold your handcrafted ice creams for the better part of a day with-out power. 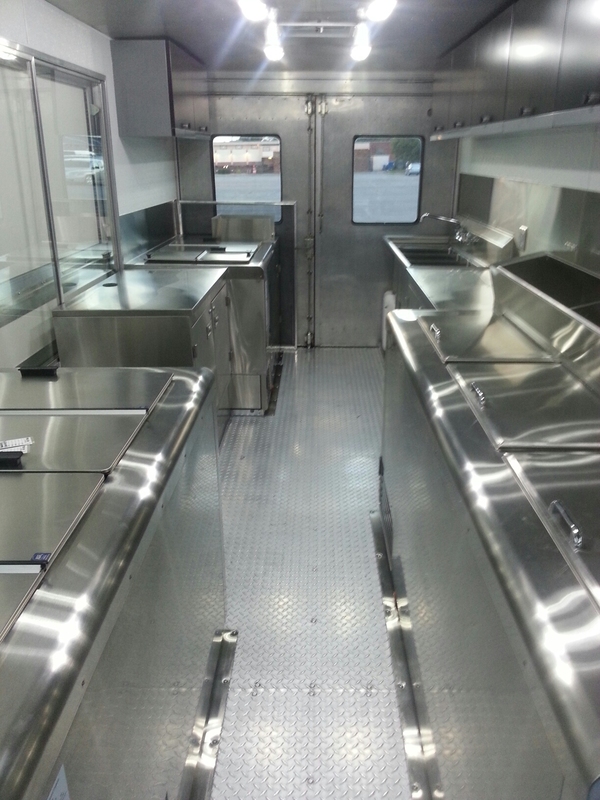 Cold Plate technology allows the operator to travel to all types of events; county fairs, camp grounds, ball parks, grocery store promotions and more. This entry was posted in Customer new equipment, Mobile Ice Cream Carts, Mobile Ice Cream Catering, Takin' it to the streets and tagged BDC8, Eric's, greater's, handcrafted ice cream, ice cream push cart, mobile ice cream truck, vbd on May 9, 2017 by George Dunlap.